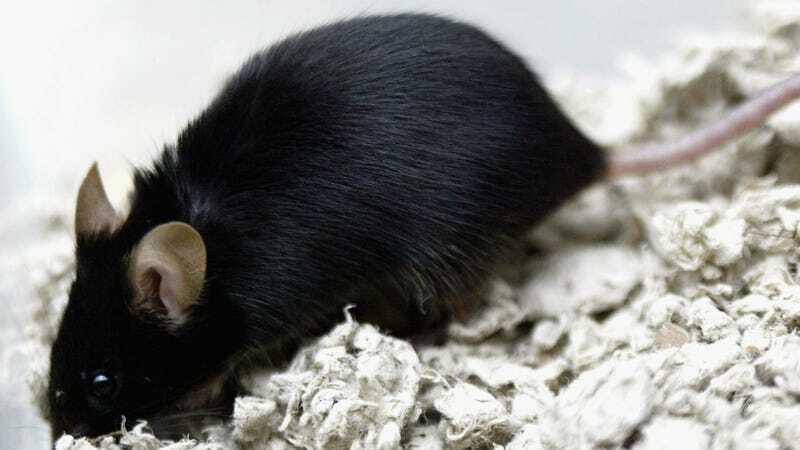 The elegantly simple account works exactly as advertised, adding the words “IN MICE” to sensationalized news stories that trumpet the latest scientific discoveries—without noting these discoveries were found in lab mice. Helmed by James Heathers, an Australian native and early career data scientist at Boston’s Northeastern University, the account has “fixed” articles concerning everything from potential cancer and dementia treatments to nutritional advice. We caught up with Heathers and talked about his “pre-coffee” idea to start @justsaysinmice, the newfound attention it’s brought him, and whether any of his targets have issued mea culpas. The following conversation has been edited and condensed for clarity. For starters, why exactly is important for journalists to state right up front that a particular study has been done in mice or other non-human animals? James Heathers: Because if you conflate research in cells, yeasts, mice, or rats with human research—especially if it’s about drugs or health, which is a lot of science news—you get a very overheated, skewed idea of where that research is. Most research that’s done with mouse models, that might potentially turn into something therapeutic, it’s something like five to ten years away from being seen in patients, if at all. There’s an enormous gap. Obviously, it’s a very difficult thing to do, to put something like that in historical context. But there’s a point past which it becomes sufficiently inaccurate or dishonest that most scientists will have a problem with it. Why do news outlets, in your opinion, so often choose to omit that context? Heathers: One is the game of telephone. There’s a scientist who does the work and reports it in a paper, which sometimes oversells the conclusions. Then that’s written into a press release, and then that press release is written into a news article, and then an editor writes the headline for that news article. So through all those stages, the context gets lost. The other is the fact that it’s much more pertinent for normal people to say that [this research] is in patients than in mice, or in a particular strain of genetically modified mice. So part of it is just because there are people who need to present this in a market for attention, and I feel there’s only so much attention to go around. So they come up with a context that they think will be most successful. Whether or not that’s good for people or for science is a secondary concern. I’ve often heard scientists and even readers complain about shoddy or overly sensational science reporting. But what, if anything, was the straw that broke the camel’s back for you and made you decide to start the account? Heathers: No, nothing honestly. Most scientists, once every week or every couple of weeks, will see something really egregious come across their field of view and grouse about it in their heads and think, “Oh, the preclinical-bedside gap again, what fun.” And then you go back to your day. [The account] was totally a shower thought. It was a pre-coffee idea. And in my experience, my pre-coffee ideas are ridiculous and terrible. But starting a Twitter account is free, so you just do it. I’ll do it till the wheel falls off and people forget to pay attention to it. How have people responded to the account? Heathers: In general, scientists, especially biologists, have written to me and said, “I’m really glad you’ve done this. This is hella funny to me, personally.” And that’s from people who have run cancer centers. The responses I’ve liked and hated the most have been from people who say they have a kid with a disability, or that they have type 1 diabetes. And they’re saddened every time they have to read about how the next best thing is right around the corner, or their mum sends them something on Facebook, with headlines on how the next cancer cure will be ready in 20 minutes. And I really hate existing in this environment where people are trying to help, and what they think will help just doesn’t work that way. I hate being reminded of that. But there have also been a few negative responses, not many—the response has been overwhelmingly positive. And I’ve attributed those negative responses to the scientific tendency for us to overthink everything. People are looking for ulterior motives, which is really funny to me. This was something I did for a laugh, and then someone says that this is an astroturfing exercise, or a trenchant attack on laboratory biology from someone who doesn’t like animal research. And that’s probably been the funniest aspect of all this. Have any of the authors or editors behind these articles issued a mea culpa to you? Heathers: No, no. I think they’re sufficiently walled off from it, or thick-skinned enough that they don’t really care. Your average editor from a major newspaper has a skin thicker than a rhinoceros, so me saying, “Please change the context of your scientific reporting,” probably doesn’t enter into their critical radar. Heathers: Well, that’s the thing. Most people do. One of the things I’ve been surprised by—even in outlets not necessarily known for their quality journalism—is that there are reasonably well-qualified, appropriately reported, accurate articles everywhere. It makes me want to start another account giving credit to people doing it the right way. On a proportional basis, that’s probably more common. I just wonder if they have the same appeal as those that oversell it. Is this something you hope to continue doing for a while? Heathers: I’ll do it as long as it’s funny, and there’s no signs of that not being true yet. And honestly, I like talking to people. I’ve had good conversations with science media people, science communicators, a few journalists who think it’s hilarious, and just people who want to talk. So I’ll do it till the wheel falls off and people forget to pay attention to it. What are you working on right now in your actual career? Heathers: Oh man, I’ve got this totally unrelated, really cool project that’s starting to heat up again. I’m investigating a section of humanity—we don’t know where they come from or how it works—who can give themselves goosebumps, something we’re calling voluntarily-generated piloerection. And as much as that might sound a little bit ridiculous, it’s a really good scientific question. It crosses over elements of physiology, personality, and genetics that we’re still trying to sew together and understand how it happens. Because what they can do, it jars with how we understand the nervous system. And if I’ve got an interest in the occasional silly mass media project, it’s probably because of this. When I did the first paper on that, I put out a huge call for people to contact me. And I got really, really comfortable with getting 20, 30, 40 emails from people who’d say, “Oh hey, I’m one of these rare people!” So that project crowbarred open my ability to handle collective attention. I’ve now gotten hundreds and hundreds of people who are contacting me and I’ve tried to write back to every single person. They’re looking for answers, they’re curious, or they want to help, and I want their help too.